PandaTip: Filling out the tokens on the right makes creating a customized proposal faster than ever. If you integrate PandaDoc with your CRM, you can fill these tokens and the pricing table on the second page of this template automatically! Thank you for choosing [Sender.Company] to provide the installation of your residential solar energy system. [Sender.Company] is a [Solar.Brand] authorized installer, and we have helped more than [Sender.ClientNumber] homeowners harness solar energy to power their homes. As the cost per Kw/h of energy from municipal power grids continues to rise each year, many homeowners are seeking long-term alternatives to reduce their energy bills. Solar energy is a great alternative to drawing power from the electric grid, and saves homeowners substantially in the long run while also benefiting the environment. In this proposal, I’ve included details regarding the expected impact that a [Solar.Brand] system will have on your grid energy use and overall household energy costs. You’ll also find information showing when you’re projected to “break even” on the system given your current and projected energy use, and what your savings beyond that point will be. Should you have any questions, comments, or concerns regarding this proposal or your [Solar.Brand] system, feel free to contact me directly. PandaTip: Many homeowners are concerned about the curb appeal of solar panels. Include pictures in your proposal to show that today’s panels are just as beautiful as they are effective. PandaTip: The tables in this template make it easy for your clients to read detailed information like cost breakdowns. 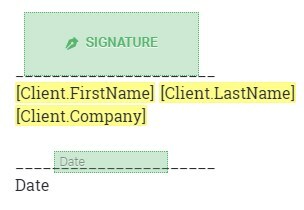 Take a moment to make sure the information you entered in the token fields is displayed appropriately in your proposal. The table below covers the details of the specific [Solar.Brand] layout that we’re recommending for your home. The table below details the expected lifetime costs and savings of your [Solar.Brand] solar system. The table below details the costs associated with your [Solar.Brand] system. The table below details the tax credits and assistance programs that you will qualify for once your solar energy system is installed. PandaTip: PandaDoc proposals are mobile friendly! Once you’ve sent this proposal template, your client will be able to view and sign on any computer or mobile device. Once you’ve reviewed the terms above, electronically sign this proposal to indicate your approval. An installation contract will then be created and sent to you for final approval and signature.